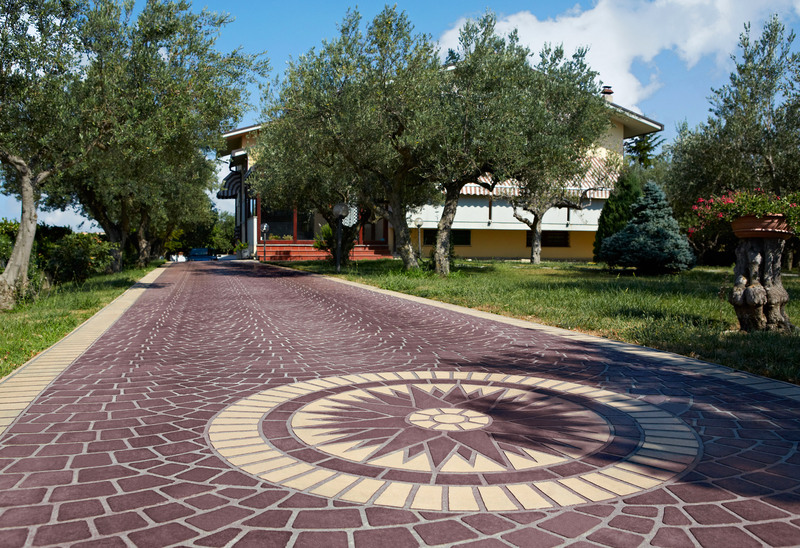 Beauty and practicality in your garden with Ideal Work’s solutions for hard landscapes: Stamped Concrete, Sassoitalia®, Stenciltop® and Rasico®, all unique and extremely durable. Summer is the time for barbecues with friends and sipping drinks on the terrace; it is the season when we spend more time in the garden and also come to realise some maintenance is required! 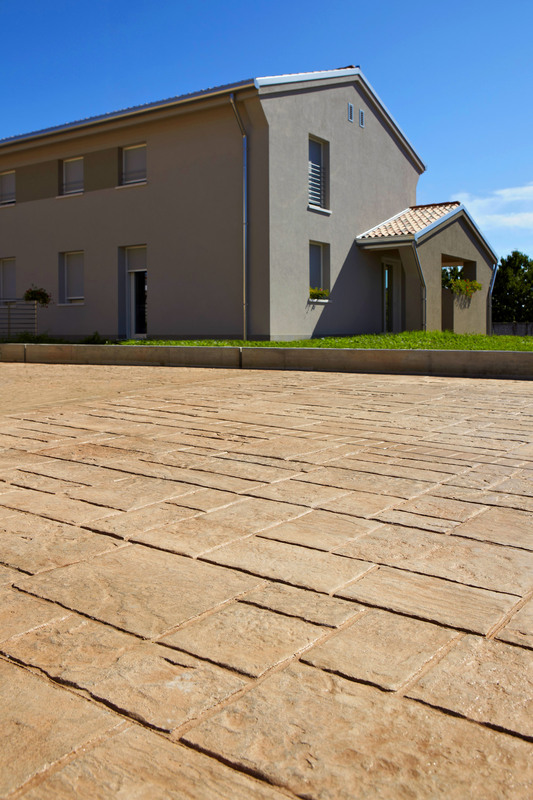 You may consider improving your worn driveway, freshening up the flowerbeds or creating a new patio. For all those who need a quick-to-install, minimally invasive solution to renovate their outdoor areas, Ideal Work® created four long-lasting, very durable systems: Stamped concrete, Sassoitalia®, Stenciltop® and Rasico®, each one with its own style, effects and aesthetics. Perfectly matching typical Italian contexts surrounded by nature, Stamped concrete recreates the natural beauty of stone, rocks, bricks, ceramic and even wood. Original and stylish, it has been developed to create unique finishes for residential hardscapes, gardens and courtyards of villas and housing estates,. It is particularly useful in creating slip resistant pool decks. 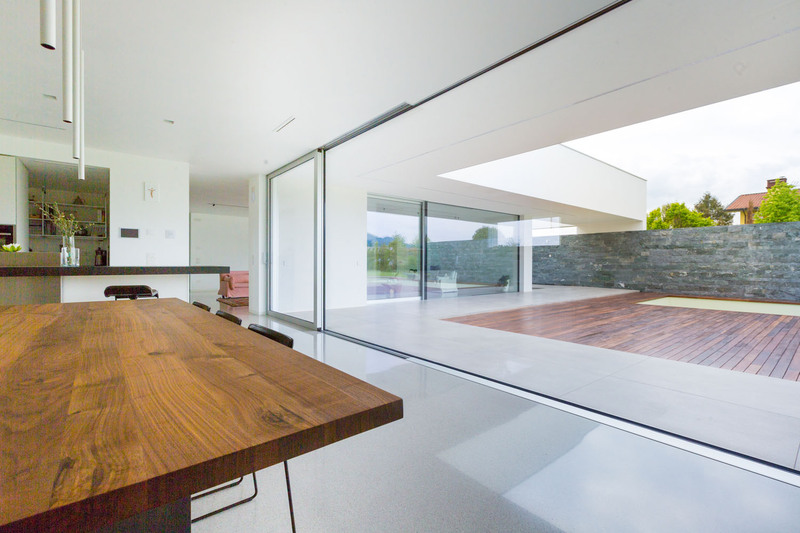 Sassoitalia® is an Ideal Work® surface made of a mix of concrete and different types of aggregates: it allows you to create a variety of texture and colour combinations and sits comfortably alongside other natural materials such as fine marbles, bricks, washed pebbles, slate and stone. Thanks to these features, Sassoitalia® matches any style and is particularly suitable where landscaping constraints are in place. Stenciltop® is one of Ideal Work’s thinnest and most accessible outdoor concrete flatwork solutions. With Stenciltop®, renovating and giving a new look to existing floors has never been so easy. You can decorate your hard landscaping with original and creative textures, customised feautures such as business logos, artistic decorations and stylised images. 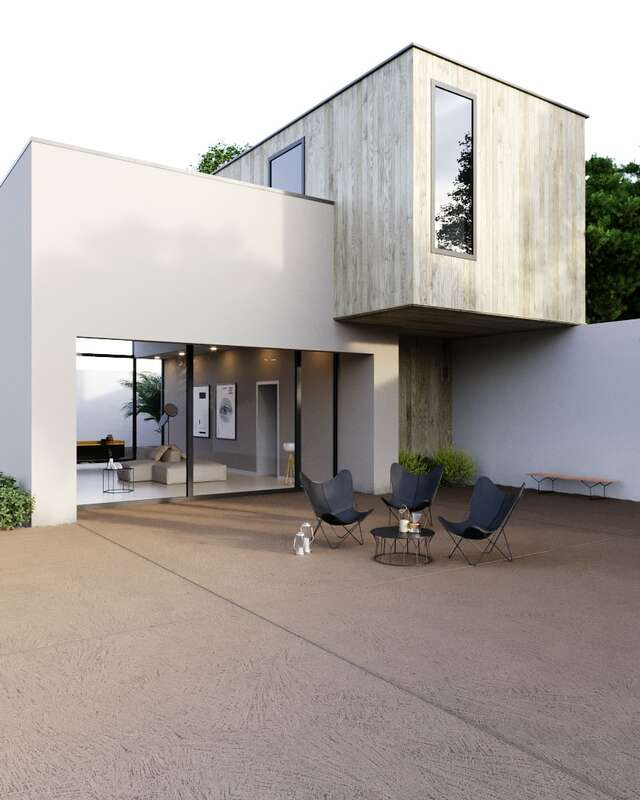 Rasico® is a 2018 Ideal Work® innovative solution; it is an outdoor, thin-bed flatwork system, characterised by an original texture, giving a rough and tactile effect. It can be customised during application in its two variants: Rasico “classic”, more brutal, and “touch”, soft and silky. Rasico® is available in 29 pastel and elegant colours. Its minimal look perfectly matches the nordic style’s basic essentiality as well as the eclectic freshness of the mediterranean style – all possible through finishing technique and colour choice.